Shane Byrne recovered from an awful start to take victory in the opening MCE British Superbike race at Brands Hatch, holding off JG Speedfit Kawasaki’s Leon Haslam to take his fifth win of the year. Byrne vaulted backwards off the line allowing young gun, Luke Mossey to take the lead off the line. Building a solid lead in the early stages, Mossey remained out front for the first eight laps with Tommy Bridewell and Leon Haslam leading the chase behind. Byrne was as far down as ninth in the early laps, but fought his way through to fifth place by the sixth lap, before a safety car allowed him to close the gap even further as he moved into fourth place ahead of Honda’s Jason O’Halloran. Adorned in the iconic colours of Barry Sheene, Bridewell took the lead from Mossey heading into the second half of the race, with Haslam and then Byrne also taking advantage as the youngster briefly lost momentum. 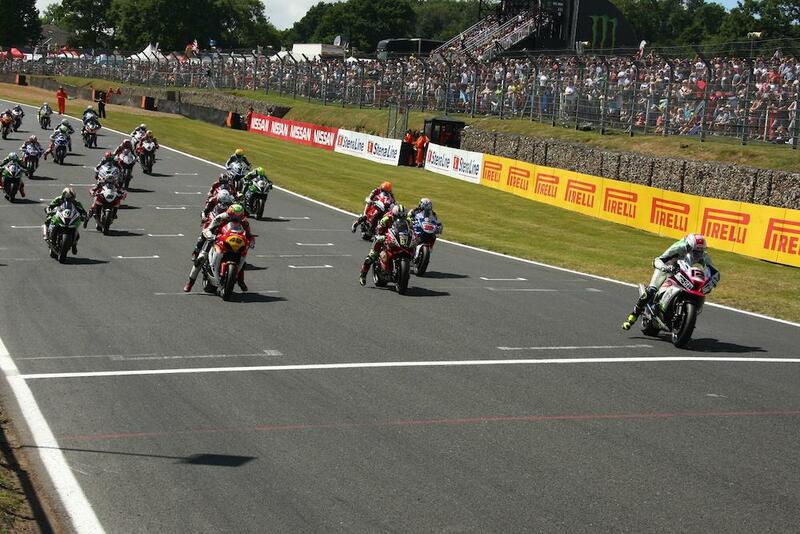 It was with four laps to go that Byrne took the lead, but he was unable to pull a gap on Bridewell and Haslam behind. Haslam slipped underneath the Suzuki for second on lap 17, but the trio were inseperable as the final lap began. However, a fall for Bridewell at Surtees ruled him out of a certain podium while Shakey etched a small lead on Haslam to be unchallenged in the final stage of the race. Mossey completed the podium after Bridewell’s spill ahead of Honda’s Jason O’Halloran and Buildbase BMW’s Lee Jackson, who equalled his career-best result in fifth. Broc Parkes took sixth for ePayMe Yamaha with Dan Linfoot Seventh, while Richard Cooper, Christian Iddon and James Ellison rounded out the top ten.